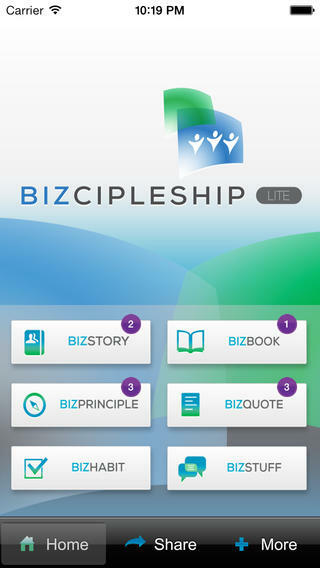 BIZCIPLESHIP LITE is a daily marketplace-focused discipleship application based on real-life stories. BIZCIPLESHIP LITE is an interactive, life-shaping, mind-molding, faith-inspiring daily tool for on-the-go marketplace people longing for greater work-life integration. The ability to request for prayer. Confidentiality guaranteed. Occasionally a reply via email from our intercession team. The option of asking questions regarding issues at work. The ability to reply or comment on any of the questions raised by other members of the community. I am so grateful to have a resource that will provide daily tips and encouragements for those of us trying to make our daily work count! Great app!! Add yourself to the official credits page for this app.